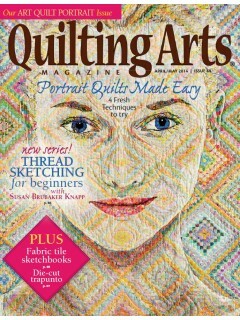 The countdown continues to my arrival in Houston for International Quilt Festival on Tuesday Oct. 29th. 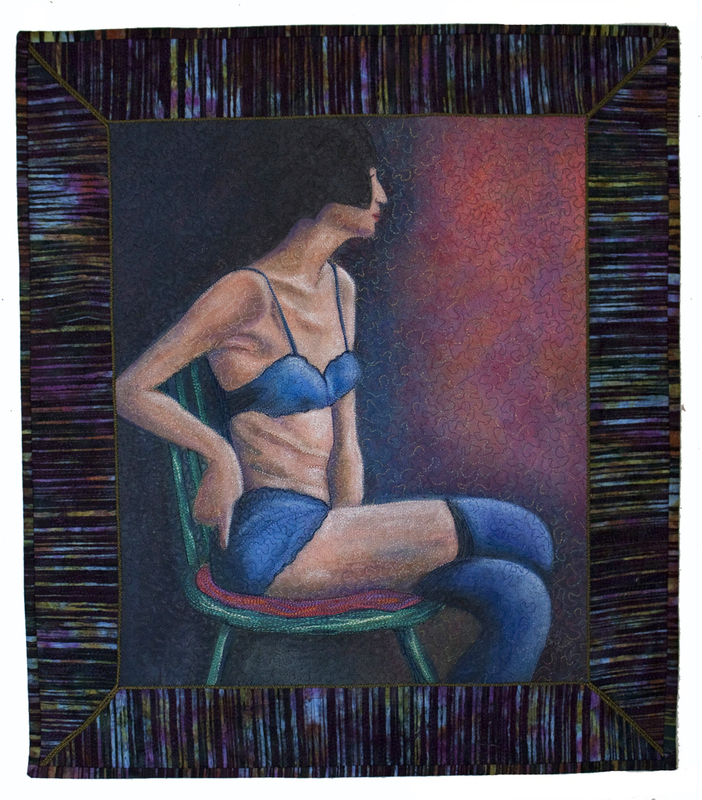 I am thrilled that I will have six pieces on display at the Festival. 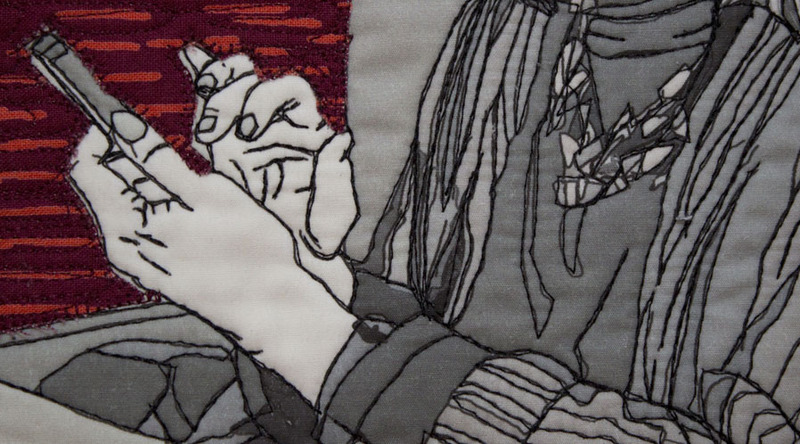 Photos (below) of what will be on display reflects my recent studio work that includes a variety of techniques: painting on canvas, machine applique, and digitally drawn work printed onto fabric, all with machine and hand stitching. First Stop on Tuesday night is the Winner’s Circle Event for the World of Beauty Contest. I know I am already a Winner in the Digital Image Category for my piece Alone/Together...what place I have won will be revealed that night!! What an exciting and inspirational night it will be to see ALL the winners and their work. YES I will share photos of my adventures! Alone/Together images were created digitally (using iPhone, iPad); they reflect our current cultural world wide obsession with mobile devices. A gentle reminder to notice the people in person around us! The rest of the week will be complete sensory overload TEXAS style. 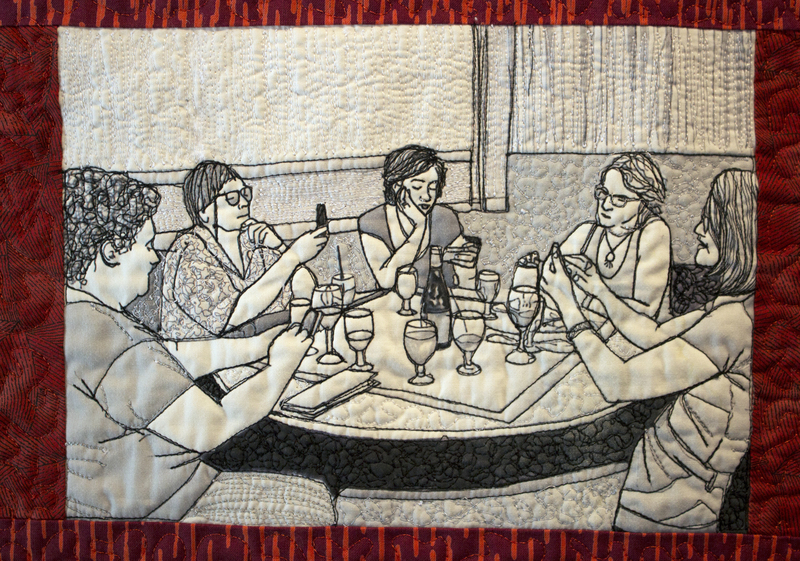 Seeing friends, both old ones and new ones (meeting internet friends in person at long last) and being inspired by all the quilts will be amazing. 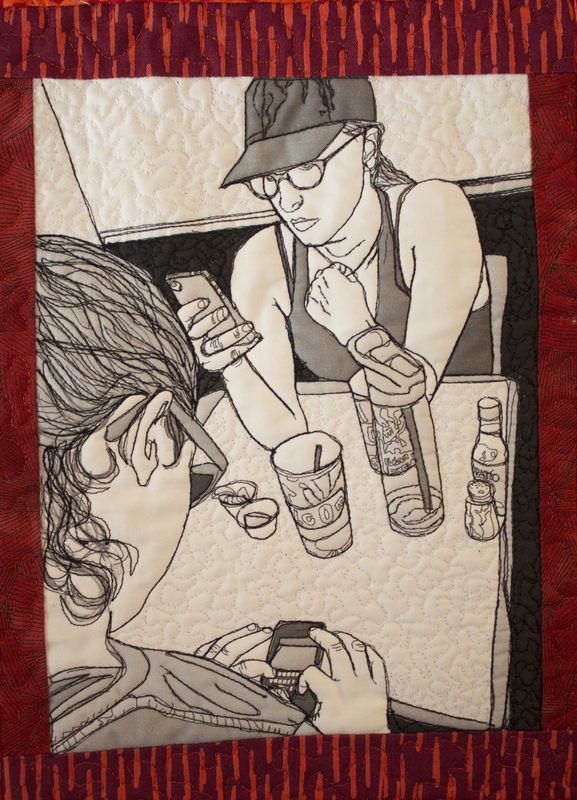 I have work in two SAQA (Studio Art Quilt Artists) EXHIBITS: Text Messages AND People and Portraits. 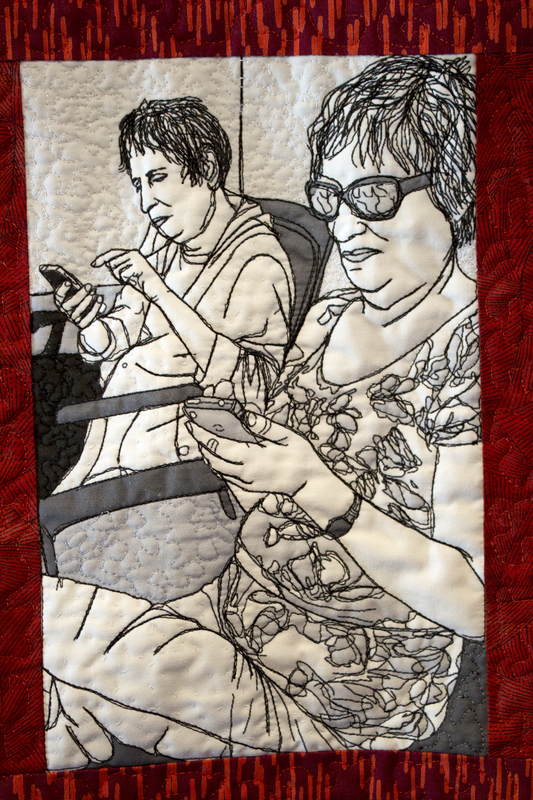 Leni Weiner and Martha Sielman (author of the recent book Art Quilt Portfolio: People and Portraits) are leading Gallery Talks of each exhibit on both Friday and Saturday. I will attend each and talk about my inspirations for my pieces. 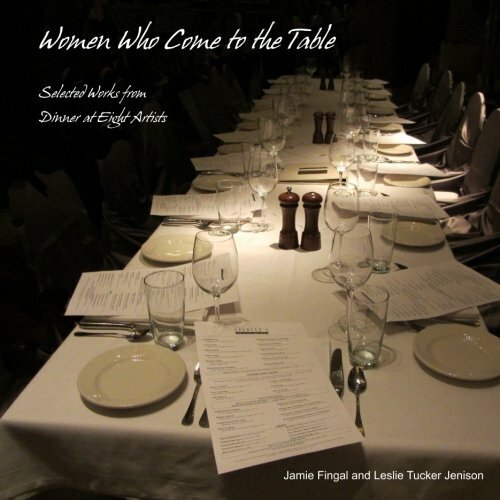 Dinner@8 has the Exquisite Moments Exhibit will include my piece Waiting Expectantly. 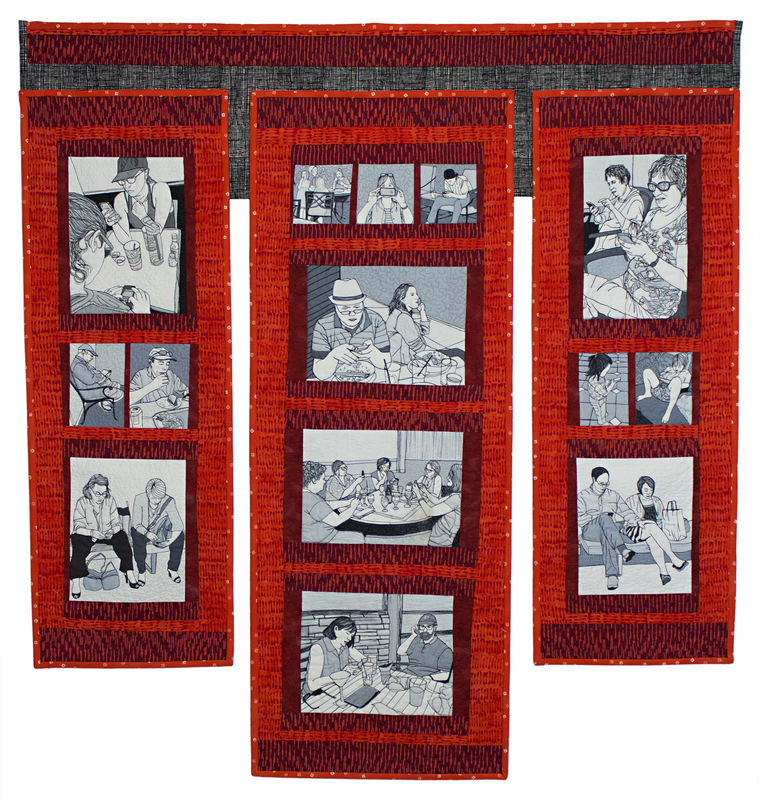 I created it with special memories in mind of my three pregnancies. My model was an 8 month pregnant artist model named Rosie. 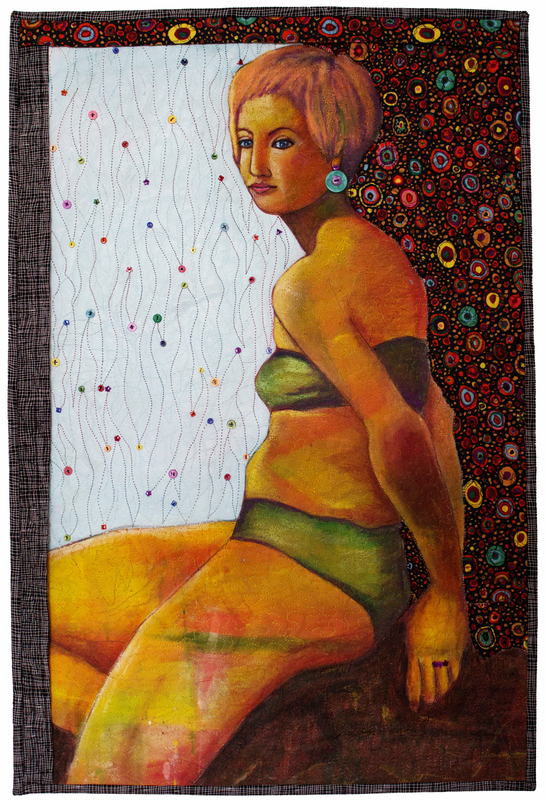 I painted her image on my iPad, which was then printed onto whole cloth for machine and hand stitching. 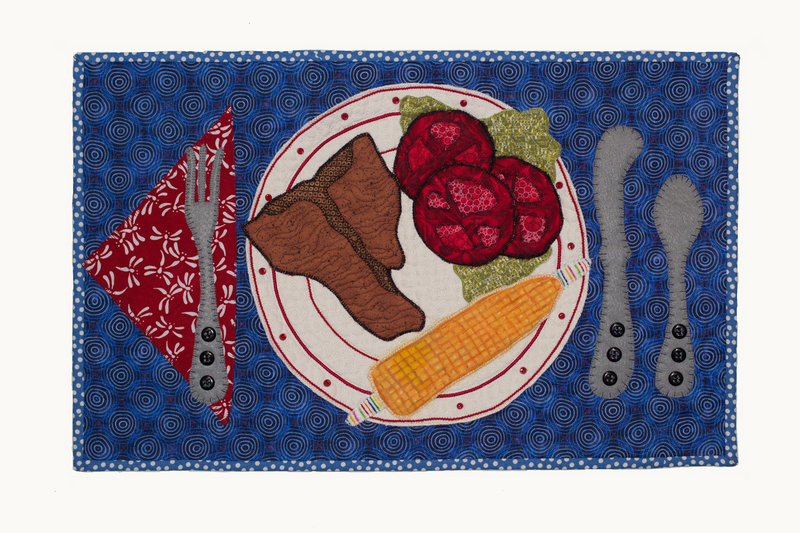 Their IQF Special Exhibit “What’s for Dinner?” will include my place-mat size Summer Time/Iowa Style Dinner. My t-bone steak, corn on the cob, and fresh garden tomatoes were a favorite of mine growing up in Cedar Falls, Iowa. What fun it was creating them in textiles!